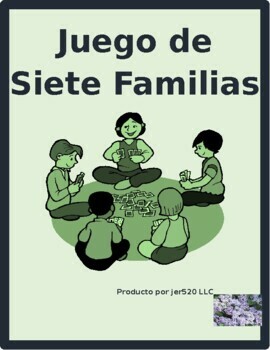 The object of the game is to collect a full family - 6 cards. The player with the most families at the end is the winner. 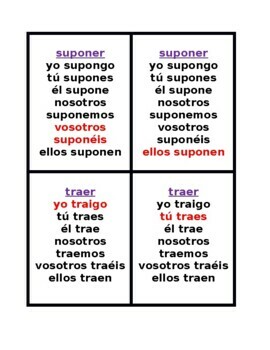 Player 1 asks a player of his/her choice for a card belonging to a specific family; in this game each family is a different verb. In order to make the request, the player must already have at least 1 card belonging to that family. 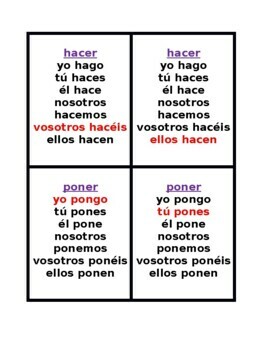 “En la familia (hacer), busco (specific card).” If that player has the card, he/she hands it over. Player 1 continues asking for cards until he/she does not get what is requested. Player 2 then takes his/her turn. Once a family is collected, it is laid on the table in front of that player. 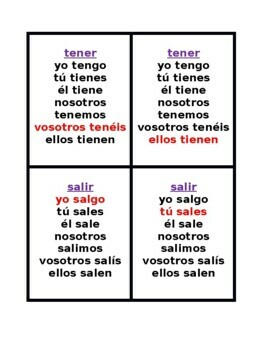 Second version has only 5 cards per family - no vosotros.